Home › Ketchup & Cornflakes › How to find the right photographer for you? How to find the right photographer for you? So many photographers, so little time! Choosing a family photographer can seem a bit overwhelming when you realise just how many there are out there. You’ve decided you want to have some family photos taken, but where do you start in choosing who is the best photographer to do them? First things first, the first – and most important question – you need to ask yourself when choosing a family photographer is ‘do I like their photos?’. If you don’t like their style of photography then you simply won’t like your final images. So first off find a photographer whose photos make you go ‘wow’ or ‘I want that on my wall’. Work your way through a Google search for photographers in your area, look at their portfolios, work out what style grabs you. Pinterest and Instagram are other ways of quickly going through lots of types of images to see what’s out there. My style of photography is very much relaxed, informal and natural – creating contemporary yet classic works of art that are truly timeless and capture the spirit and essence of your family. Top natural interactions, expressions and gestures that allow your personalities to shine through – that’s what I aim to capture on camera. What sort of photoshoot do you want? Do you want a studio session with formal poses or would you rather do something at home or out and about? Do you want a fine art portrait or natural family shots. Does the photographer you like offer the option you want? Check out the portfolios of the photographers you like in your area. What do they specialise in? If you really want an outdoor family photo session, then a photographer who specialises in studio portraits probably isn’t the right one for you. Every photographer is different and you have to choose the right one for you, and that includes budget. There are photographers at pretty much every price point to suit any budget depending on what you’re after – just like any industry. There are cheap and cheerful photographers who offer just the basics – a quick photoshoot with no frills, shot straight to Jpeg with no or minimal editing; those who are just starting out and are building their portfolio; and those at the top end of the spectrum with a lot of experience providing a boutique experience where everything is tailored to you and your family’s needs with high-end quality end products and wall art. And there’s everything in between. Working out what’s important to you will help you sort through the different options and find the photographer you’re looking for. You’ll also need to take into account how the photographer charges for their work. Some charge an all-in fee where you just pay a fixed fee for the session and usually a set number of digital images. Some will charge a separate session fee for the photoshoot and then offer various images packages that can be purchased after the photoshoot. Some have an a la carte approach where you can just pick and choose individual products. Decide what you’re planning to use the images for and this should help you decide which photographer and their offer suits your needs best – do you primarily just want to share your images on social media? Then perhaps a package which includes lots of digitals is the one for you? Do you want to put some images in an album? Or would you like to find one or two great images to enlarge big on your wall as a gorgeous piece of wall art such as a canvas or a framed acrylic? Do you want to send lots of prints out to friends and family? Having an eye on how you want to use your images will help you decide what sort of image package to be looking for. For example my clients usually want to use their images as fantastic wall art or framed prints, so I offer a range of image collections that factor this in to provide greatest flexibility, enabling them to choose framed or unframed wall art or simply prints along with a number of digital images. For me I genuinely want my clients to cherish their images for years to come – I want them pride-of-place in their home – so I offer only the highest quality products from the highest-calibre manufacturers, and that’s one of the reasons my clients choose me. Not their photographic style – if you don’t like the style of their family photography then you won’t like your photos. Do you like them? Do they come across as someone you could get on with? You’re going to be spending an hour or two or more with this person pointing a camera at you: it’s important that you can feel relaxed with them during the photoshoot. Most family photographers will chat away to you and engage with your family while taking your photos – this helps you and your family to relax in front of the camera and helps get the best out of you for the best natural unaffected happy family photos. It’s important to choose someone you feel you can have a bit of a rapport with. How will they help you prepare? Do they offer a pre-shoot consultation? 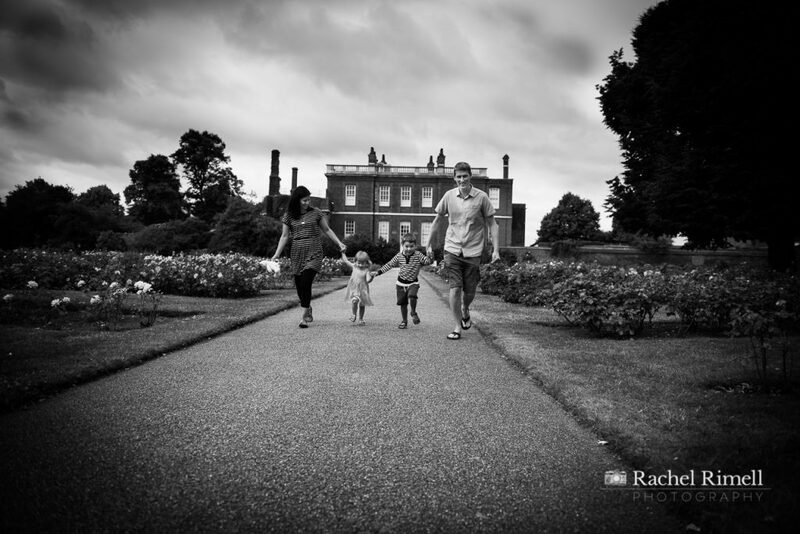 For most people having a family photoshoot is not something they do every day and they welcome having some advice on how to prepare such as what to wear or what happens if the weather isn’t as planned. A pre-shoot consultation can help iron out all those concerns. Some photographers will provide a written guide in addition or instead of a consultation, others will have a chat on the phone, for some no-frills photographers this is something they just don’t offer in order to keep their costs to a minimum. What training do they have? Training isn’t the be-all and end-all of photography – a lot of fantastic photographers are self-taught. What matters generally is whether they take good photographs. But it can be helpful in narrowing down your choice of photographer. Training indicates that photographers have reached a certain standard with their photography that is recognised and accredited and is a benchmark for their experience. Where training really does matter is when it comes to specialised areas such as newborn photography and you should always check if your photographer has the necessary training and experience if you’re looking for highly-stylised posed newborn images. These should always be done as composite images (ie with photoshoot skills to photoshoot out somebody holding the baby in position). There is more information on choosing the right newborn photographer in my blog here. My style of baby and family photography is a more natural lifestyle approach, but I also have 20 years of experience in photography and trained, qualified and worked as a press photographer and photo-journalist. This means my clients can be assured that I have a wealth of technical knowledge to back up my enthusiasm and warmth for taking beautiful family images that they will want to treasure. I hope these tips will help you find the right photographer for you. Every family is different as is every photographer. With so many options out there you will almost certainly be able to find one that suits your needs. If that person is me, contact me for more information or to book! ‹ How to have your photo taken when you’re camera shy!